This book discusses how to get started in R, and gives an introduction to data manipulation and writing scripts. It grows from materials used in the introductory statistics class for psychology students at the University of Adelaide. 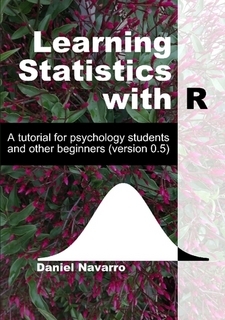 "Learning Statistics with R" covers the contents of an introductory statistics class, as typically taught to undergraduate psychology students, focusing on the use of the R statistical software and adopting a light, conversational style throughout. The book discusses how to get started in R, and gives an introduction to data manipulation and writing scripts. From a statistical perspective, the book discusses descriptive statistics and graphing first, followed by chapters on probability theory, sampling and estimation, and null hypothesis testing. After introducing the theory, the book covers the analysis of contingency tables, t-tests, ANOVAs and regression. Bayesian statistics are covered at the end of the book. 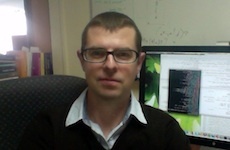 Dan Navarro is an Associate Professor in the Computational Cognitive Science Lab at The University of Adelaide. His primary interest is learning how the mind works.